Savage Dragon #237 on sale TODAY! Check it out! 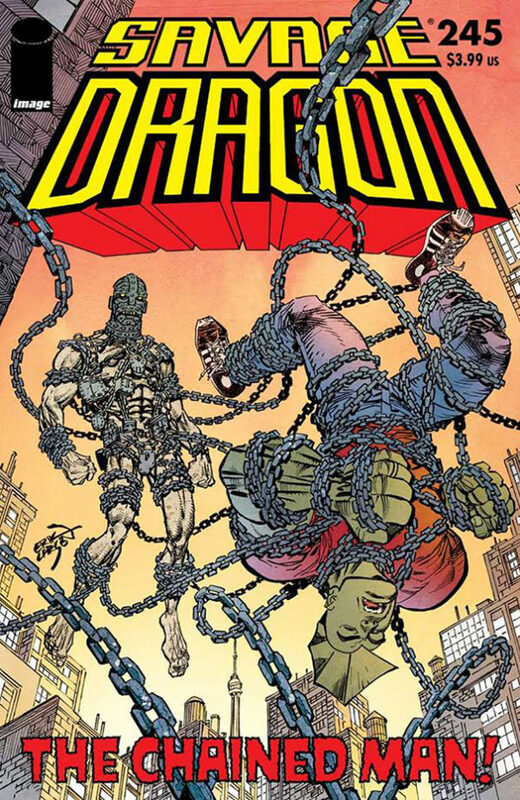 Erik delivers another issue of Savage Dragon just two weeks after the last one. This is insane. Show me another creator who can keep up with that pace. I certainly can’t — my “reviews” are falling more and more behind. Ah well, let’s look at the bright sight: It’s new comic book day for us Dragon fans. Visit your local comic shop or grab your digital copy right now over at Image Comics or Comixology. Preview pages as usual over at Image Comics! 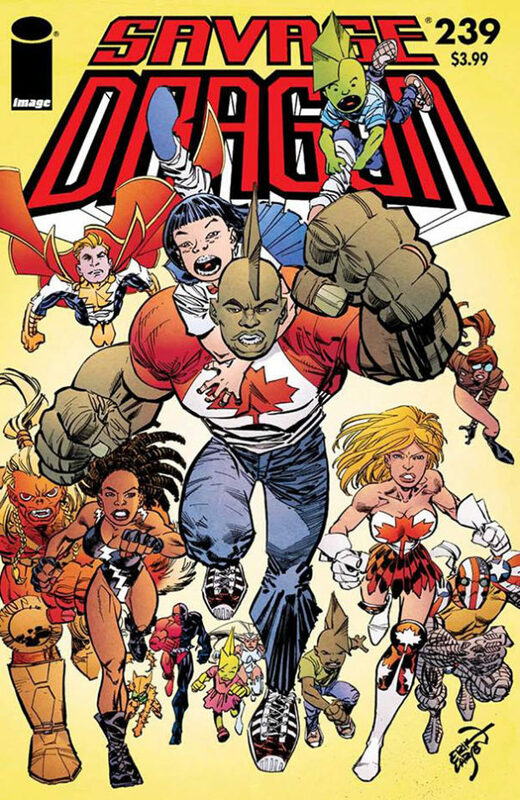 Savage Dragon #233 came out in april 2018. The cover had been solicited month before and had caused some interesting conversations among fans and interested bystanders. At that time Erik had just decided to take the book to an even more explicit direction and the media was paying close attention to what was going on in the book. Even a cover that doesn’t really show anything stirred up some heat and I remember seeing someone post a picture of his comic shop selling this issue in black(ened) bags. Some might recall that the cover originally looked slightly different and that Erik – at one point – even had two version up for a vote on twitter and facebook with different texts on Maxine’s shirt. The issue also comes with a backup feature starring Switchblade by Ben Bishop and the story actually is connected to the main feature which makes it even better. As usual, here’s a list of articles regarding #233. Feel free to drop me a message if you dicover anything that should be added. The Savage Fincast talks #233 and stuff! 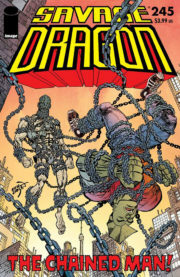 Savage Dragon #236 on sale TODAY! 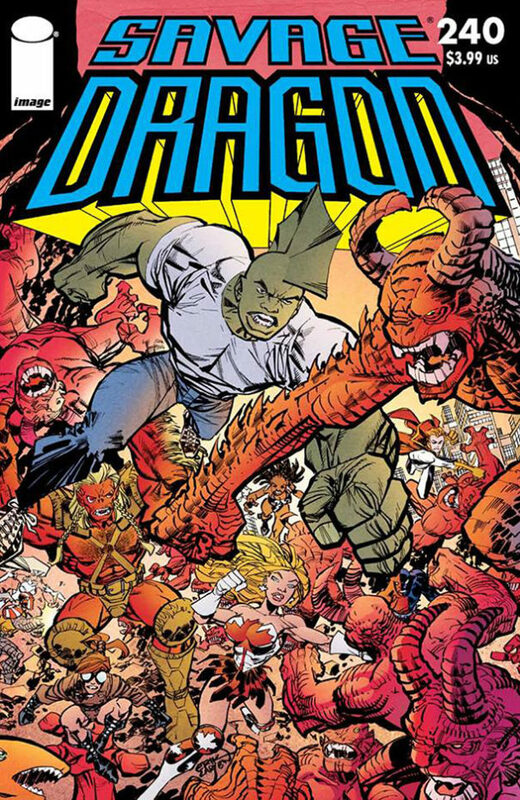 Savage Dragon #232 came out in march 2018. It is the second issue with Ferran Delgado as letterer and it is the second time he added letters to the cover! The book had originally been solicited without the copy on the cover but Erik often keeps reworking his covers until the last possible minute and it seems he is aiming for a more classic comic book look. This also shows in the return of classic title pages. Readers may remember that Erik frequently used them during his “Savage World” storyline where he was emulating the look of classic comics of the silver and golden age. And now titles are making a comeback and Ferran Delgado letters on them look amazing! As of Savage Dragon #232 I’ve returned to titles and credits. I do love the way these things look but I have a bear of a time actually coming up with titles for stories. Oh, and here is an initial design for the Wraith that Erik eventually dropped because “he was too Kirbyesque for the part”. Who knows though — maybe we’ll see a character like that down the line in some other context. He looks way to cool to disappear in some drawer. The Savage Fincast talks #232 and stuff! 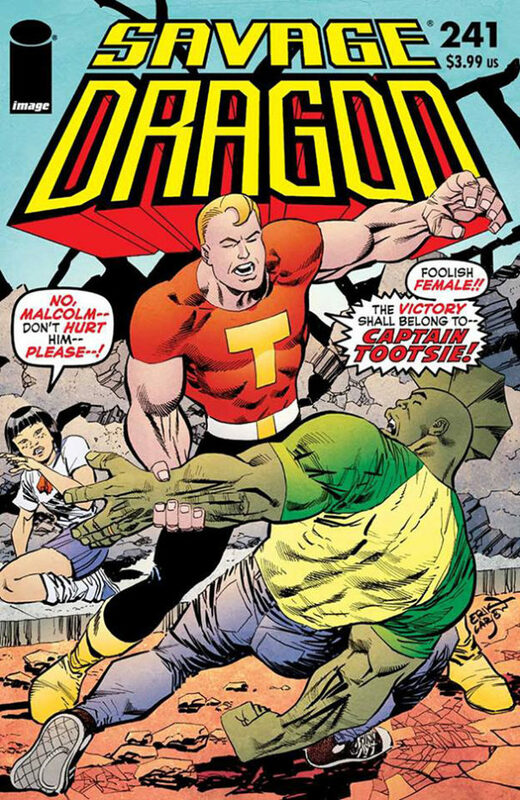 Savage Dragon #234 is out!